Put the onion, carrot, and cumin into a medium frying pan. Add the splash of oil and cook on a low heat to soften. When the kidney beans have softened, drain well and add to the carrots and onion. Remove from the heat and mash together until you have a smoothish puree, like a mashed potato consistency. Stir in the flour to stiffen. Heat the remaining oil in the frying pan on a medium heat. With floured hands, take a quarter of the burger mixture and roll it into a ball. Make three more balls with the remaining mixture. Place one in the oil and flatten gently with a fork to make the burger shape. Depending on the size of your pan, you may be able to cook all the burgers at once or need to do them in batches – unless you’re freezing some of the uncooked patties. Cook for a few minutes on one side, before turning. The burgers need to be handled with care as they can be quite fragile before they’re done! When cooked and slightly crisp on both sides, remove from the pan and serve. This sounds gorgeous. May have to give it a try. I made these for tea tonite. Can’t get my boy to eat veggies so I told him they were “crabbie patties” the one’s Sponge Bob makes. He loved them! Even asked for more! I’ve made these twice this week. I’m a lapsed vegan as found many recipes too time consuming, full of items too difficult to buy in the UK such as seitan or tempeh or containing vegan cheese (just wrong). Please keep recipes like this coming. Cheap, quick healthy and delicious. Had mine in a warm pitta with some sliced cucumber and a dollop of spicy mango chutney. These are going to become a staple. I just made these for lunch and they were delicious! So simple and easy to make, tweaked a little bit as I following slimming world so used fry light instead of oil and omitted the flour… Wrapped it in a lettuce leaf with tomatoes, cucumber and red onion and a little mayo. Perfect and filling will def be making these more often. Thanks! You cannot say that coriander is free – you have to buy a plant in the first place in order to have it on your window ledge, and these plants cost at least £1, plus, they do not grow well unless you repot them with proper soil. The cheapest way to use coriander leaf is to buy a bag for approx £1 in major supermarkets, then freeze it at home. Further, you are exaggerating how many carrots and onions you get in these value packs. If you do not print this comment I will find another outlet to complain about your misinformation. This blog was never intended as a self-help guide to people as to how to live their lives – it’s a brutal portrayal of mine. I’m lucky enough to have herb plants on my window ledge, and I dont feel i should apologise for that. I bought the parsley one, I’ve had the mint one and chilli one for years, and the others I grew from seeds. When they get too big, I trim them, chop them and freeze them in ice cube trays to prevent waste and allow for regrowth. They’ve done quite well so far, but in the event that one dies, I would either substitute it for something else, use dried herbs that I have, or replace it when my budget allows me to – the same way I buy my dried herbs and spices. I’ve never explained it in such detail before, because I didn’t feel it was necessary, but there you go. I understand not everyone has a herb garden on their window ledge, but the fresh herbs can be substituted for dried value mixed herbs (30p from Sainsburys, for example) or dried value curry powder, where applicable. The vegetable packs are 1.25kg, Sainsburys Basics range. I count them out every time I buy one – the week I had 16 vegetables was a disappointing one, but the week I had 22, albeit some very piddly little carrots, was a good week. However many physical pieces of veg, it’s still 1.25kg, and that’s why I say an ‘average’ of 20 pieces. I own, run and write this blog, and I take complaints seriously. It’s a diarised day by day of my life, not a step by step guide to living a perfect one. THat proper turned my face up on a miserable Sunday. Why can’t you just ask the question in a friendly way rather than in a confrontational one? It almost feels like you have gone out of your way to pick a hole in the recipe but I’m sure that’s not the case and have better things to do with your time! Jack – all the ingredients on today’s shopping list for me and my 11 month old who I am doing baby led weaning with…..perfect to break up and use as finger food home or away! Keep doing what you’re doing! I’ve just gone out and bought (in order to make this recipe) a single carrot and a single onion (loose) and they both came to little more than 5p (6p and 7p respectably), I don’t have fresh coriander but will be substituting with a little curry powder instead which I have already. Why are you so aggrieved at this recipe/blog? What a bafflingly aggressive post. Thank you for replying to me, Jack. I have just seen all the baffled responses to my comment. ! Well, I can explain my perhaps obtuse comment. Firstly, I did not intend to insult you, Jack, nor attack your recipes for some perverse reason. I read a few of your recipes in a rushed manner and I became concerned (paranoid) about the prospect of right-wing thinkers and/or politicians making use of your published articles to support another rhetorical attack against people on low incomes. So I thought, when I read your recipes, that it’s best that you be highly accurate to avoid the possibility of a right-wing misappropriation of your writing. Your blog is indeed a brutal portrayal of how you have to survive, and it would be horrifying if your blog was used by politically motivated people seeking to stir up resentment towards people on low or no income. I’ve become mildly paranoid about the ConDem attitudes to the poor and jobless. This is my only explanation for my slightly bizarre post earlier. I envisaged a newspaper article about the latest ConDem attack on poor people ‘Blogger proves that is possible to live on £20 per week’. For example. It’s ok, I know it’s a very contentious subject for exactly those reasons and the last thing i would want is for my experiences to be used in such a manner – goodness knows I fended off enough accusations of being ‘a Tory plant’ that weekend by people who haven’t read my blog. No hard feelings and thanks for your reply! Geez Simone what in the world is wrong with you? What a completely ridiculous and inaccurate comment. Have you considered therapy or anger management? When you are cooking on that sort of budget, it’s rather nice to give yourself a pat on the back occasionally and growing your own is definitely that pat on the back. Yes, they do cost money and can be expensive in the beginning especially if you can’t keep them growing (and not everyone has green fingers) but eventually the herbs will grow themselves and become “free” after many uses. Keep them going…..look after them and keep up the good recipes MsJack. I’ve just enjoyed your delicious burgers. Bon appetite. Such a venomous comment! I also have herbs at home and had them for years. Having said that your comment was quite nasty and beside the point Jack is trying to make. As a matter of fact I amde this without coriander as I hate it and they tasted lovely too. Simone, you need to get a grip, such sites and blogs are here to help people and save money, not pathetic comments such as yours. Not sure if this will end up in the right spot, but what a graceful and honest response to a confusingly aggressive comment, Jack. Very impressed as it’s easy to get up in arms when met with such undeserved vitriol. I have just made these for tea and they were absolutely scrummy! I followed the recipe exactly, making them in advance and storing them in the fridge. This stopped them breaking up. We had them served with mango chutney and homemade polenta chips with salad. I have been make a similar bean burger for while (bbcgoodfood recipe) and one suggestion they make to use the mix differently which I do quite regulary is to make small ‘meat balls’ and have with spaghetti and tomato sauce. That’s a fantastic idea! Will definitely try next time. I just made these this afternoon, as was bored so thought I’d give them a go. Made double your recipe and added and egg, they looked amazing and tasted even better! Fab recipe, thanks! I ate one as soon as they were made and we will eat the rest for dinner tonight. Really great.,,,Just saw you on Breakfst TV and thought you were fab.Don’t know why they were picking holes in your menu?This is all good healthy food. .I would say the vast majority of people out there,never eat as healthy you and your son do(i know people with pots of money that just feed their family junk.) So what if there wasnt enough “oily fish” in you menu!! That (whilst important)is such a minor thing to pick on.NO diet. is perfect but yours is far,far better than the majority in the country(with or without the “oily fish”. )..And as for laying into you about the “bacon and bowel cancer” Well what nonsense! A little bit of bacon in your diet every now and then in the form of a good health,bacon and veg stew is not detrimental to your health whatsover! .You little boy is very blessed to have such a great mum that has made every effort to feed him in an imaginitive and healty way. I agree with Sarah – they picked on the bacon and lack of oily fish unfairly, in my opinion. NO-ONE eats a totally balanced diet, and your food is far, far healthier than what a lot of people eat day in, day out. I think you’ve done a fantastic job of feeding your little one healthily on a ridiculously low amount of money, and I’m so glad you’ve got a job as a result of this blog! I’ll be trying lots of your recipes from now on! I have just made this for my family of 4 and they went down an absolute treat. I served mine in homemade floury baps and salad. thanks for the great recipe. Quantities are a bit small. If making again, I would double them. I blitzed the carrot/onion/herb mix, which was a lot less effort than chopping and grating! No salt and pepper? Salt will promote gluten formation in the flour which will help a little to make them stick together in the pan. I also added one small chilli (from the garden). Anyway, it’s absolutely delicious. Thanks for the recipe. I saw your article this morning on the BBC and thought it was good. I chose to shop for food on a budget to prevent wastage as I have previously thrown so much food away. Doing this I have saved so much money. Some people are not as lucky as me and have to budget. I would encourage anyone to take inspiration from this article. As a veggie also – the recipes are great. I don’t eat quorn and the like, I don’t like it so cook fresh and left overs are stored and frozen now. I have just made your bean burgers. My carrots were on the turn as was my coriander. However, this saved me from throwing them and the burgers were great. I had them on basic muffins I had sitting in the freezer. I chose not to buy top brands now because these days – there is no need. People sholdn’t feel the need to have to fork out above their means on top brands when there are adequate affordable choices. I have 5 burgers remaining stored in the freeze for next time. Nothing goes to waste. Thank you for sharing your story and ideas. I just made these after seeing te recipe on BBC breakfast. They are lovely and so easy to make! Excellent idea to use gram flour. I made them tonight with spicy wedges and it was delicious! I made four extra for freezing but cooked them before so wish I had read this beforehand. It takes me back to when I lived on a south pacific island for 8 months and we had no meat and hardly any food apart from root crops available. Myself and the other volunteer made some amazing dishes with what we had! A fabuous blog I just found – take a look. I’ll be using some of her recipes! Just popped some balls in the freezer to make later this week. Tastes good! Needs a bit of heat, though. I used half butter beans and half kidney beans. After a picky food week my 11 month old has just polished off 2 for lunch. I enjoyed them very much too with a spot of sweet chilli jam in a bun. Saw you on telly, I bet we shall be seeing you again at some point. Good luck and hope all goes well from here. Didn’t have any mango chutney but did have tomato and chilli chutney which complimented the burger perfectly, you have encouraged me to cook this way for my family more often, Thanks again! So much food is wasted in this country, it’s sinful! I have been on a budget for years and I really like the fact that you are highlighting the fact that you can eat well on a low budget. It can only be a positive thing. To quibble over a few leaves of coriander is churlish. This is hardly ‘misinformation’. You are not pretending to be an expert, just sharing your info.I used ground coriander in mine and they were great. Keep up the good work! I just tried this recipe and I’ve got to say, it was the most bland, tasteless, patty of mush. Not impressed at all. I’m sorry to hear that John, it’s one of my favourites! It needs a hefty shake of cumin and a rather large carrot – but I guess you can’t cater to everyone’s tastes all of the time. I’m sorry you were disappointed. In that case why not add your own extra salt, or adapt the recipe to your taste? No point in hating; just use some common sense and personal touch and adapt! I’ve been making these a couple of times a year for the last 2-3 years and I love them! I appreciate this comment is a bite late now but I can’t not respond. I have to say John, you can’t be that hungry then and so count yourself lucky. The point is John, these are recipes for people living on or below the line and using what they can get their hands on. Happily the majority of people have enjoyed them or been creative enough to tweak the menu to their taste and I shall be making them soon too. Thank you Jack for taking the time to try and help people – I’d say most are grateful. Ground rice – I usually add a bit to thing like falafels, butter bean fritters etc as it soaks up some of the liquid and makes them less fragile and it doesn’t affect the taste any. Plus you can make a hot pudding with it. My husband and 11 month old daughter thoroughly enjoyed them too! I made these for dinner tonight – they’re great! The coriander and cumin make them really tasty and the mango chutney is perfect with them. Thanks for sharing the recipe, my husband and I enjoyed them thoroughly. Your blog is really inspirational and I love that you demonstrate that it’s possible to eat healthy, tasty food on a tight budget if you plan. I have been cooking this way for a while now, and looking forward to trying some of your recipes! Although, my usual approach is ‘what have I got and what can I make from it without doing any more food shopping?’ so will probably be adapting slightly! 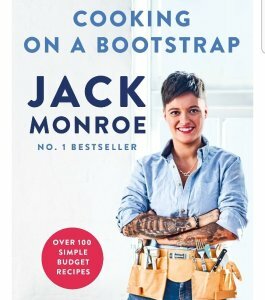 Dear Jack, Like I guess so many others I watched you on BBC on Saturday morning and initially was driven to check out your website to find the recipe for these burgers. I am so glad I have found your website, your story and your recipes are so inspiring. You were terrific in front of the camera too. Thanks to you, I now feel terrifically motivated to dig deeper and eat better and more resourcefully to suit our own very limited budget. I had soaked and boiled some chickpeas at the start of the week so last night made up a ‘chickpea’ version of these burgers – chilling in the fridge for tonight’s dinner. Otherwise the ingredients are the same, and I have put to good use some ‘getting dodgy’ carrots. Can’t wait, the burgers look ever so nice – and very much my sort of food. Soup and a bread recipe will be my next tryout. I wish you every success and I will be a regular visitor to see what you are up and have been cooking. These worked ever so well with the chickpeas, but dried kidney beans are on the weekend’s shopping list. (I am looking forward to checking out the £1 veg bag, I so hope our Asda sells them). I am sitting here for lunch having the parsnip, thyme and parmesan bread with some soup. Used a carrot though as that’s all I had and I thought it would be the closest match. YUM! 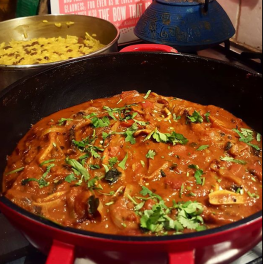 I love the budget friendliness, the ease of preparation, adaptability, taste and nutritional value of your recipes and they are simply excellent fuel for my busy workout and long-distance running endeavours. No need for expensive promise-the-earth sports nutrition products. Jack! These are amazing! I’ve been on a tight budget for the last month and eating really unhealthily – until I discovered your blog 🙂 this is the first recipe I’ve made and am enjoying every bite of it – quick and easy to make and it’s so satisfying to be able to cook and make healthy meals on a budget. Just made these and they were lush! We very luckily had some mango, coriander and apricot chutney in the fridge! We saw you on BBC the other day and thought you were brilliant. We are so so so limited with money so to see recipies based on £10 a week AND healthy AND yummy is more exciting that words can describe! We have just done a £10 shop in morrissons and I feel amazed that I confidently have enough food for the week for two people. Thank you for being you, putting all the hard work in to these recipies and writing the blog – it will change our diet, finances and health for definite! worked well, i added quinoa though since i had extra precooked quinoa in the fridge (always make too much of that stuff) didnt want it to go to waste !!lol. I just made these for dinner. They were great! I added some ground ginger and coriander too. This is such a helpful blog. I’m so glad you take the time to share all this with us. :) Thanks! Made these last night for my family – thank you so much for sharing the recipe. My eight-month-old loved them. I didn’t have mango chutney but I had some open tinned sweetcorn, so I made a relish by combining them with tinned toms, a finely-chopped onion, and some lemon juice. Worked well with rice. 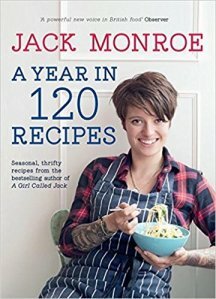 Hi Jack, is it ok to freeze the leftover burgers? If so, how would you recommend defrosting them? Just whacking them in a pan on a low heat or another way? Thanks! I had an amusing time with this recipe. I didn’t have cumin, so used mixed spice instead, and a can of mixed beans. I forgot to fry the onion, carrots etc first, just mixed it up with the beans. Then I tried to fry them but they were too watery and the bottom of the pan was starting to burn. I saved the day (well, dinner) by deciding to turn it into a pasta sauce, by adding a can of chopped tomatoes, served on penne pasta. It was delish! Thanks for the inspiration. I’ve just made this for my lunch, just wanted to say it was very nice – could do with a pinch of salt but I’m nitpicking here! made this tonight, and had a sweet potato hanging around so II added that too, I’ll definitely be making them again. made this tonight. I had a sweet potato hanging around so I grated it and added that too. Bloomin lush. I’ll definitely be making this again. Hi Guys can you help. I made double the qty of these and when i trialed the first one it was just mush:( i then added 2 eggs to the remainder of the mix and it was better but not great. The third addition was a bit of flour and finally some oats !!! None of which created any sort of burger holding shape? I cooked them off shaped them then refridgerated over night and they held a little better but certainly not managenable. BTW they taste lovely but can’t hold shape. My real issue was i wanted to make some to take to college to give some samples to my students as i have been harping on about this sublect since i found this site. ( i teach construction BTW, so a little manipulation of the syllabus required) I really want to bring some to work with some home made rolls, heat them up over a gas ring or better still a micro wave. I don’t want to lose the imputus, so any ideas?? More egg, breadcrumbs? How thick should the burgers be, i have tried thin and think with no luck, am i expecting too much? Maybe ur carots were too moist or the beans weren’t drained properly! Did u add the flour? Hi Steve, only just seen your comment, apologies if this reply comes too late. I’d recommend not faffing with the burgers too soon. You have to be quite brave and let them cook a fair while so they form a crispy crust on the outside which holds them together. They are quite fragile in any case. My other thought is that perhaps you’ve got too much veg compared to beans as it is the bean mash that squodges them together. I tend to use a small onion and a medium carrot and chop the onion as small as I can manage and grate the carrot on the smaller setting of the two on my grater. Very tasty, would make a good flan filling. They are rather soft, and as a vegan I do feel the lack of something that resists the bite. A crisp pastry case would give the required contrast, I think. Husband and I had them for our dinner with wedges(him), wholemeal bread (me) and salad (both of us). We will have them again. Thank you. The best burgers we have had in a long time. popped them in reduced granary buns with salad, gerkins and mayo and served with wedges. Definitely will make again. Made your garlic, lemon and herb bread (herb being coriander) into rolls for the burgers…..
Only, didn’t Asda have a lovely pack of sausagemeat stuffing reduced to pennies. So I thought about it and the result was the most marvellous and magnificent mixed meatloaf. Yes, followed your recipe, added the sausagemeat, a couple of smart price slices of brown bread (was just about to be donated to the garden birds), 1 smartprice egg, good shake of powdered garlic, balti massala and tandoori massala which I had just stocked up on in bulk. Ohhhhhh, it was so good – a nice thick slices to pop into each roll, and just beyond superb cold in a sandwich with mango chutney for lunch the next day – and today – can’t wait!!! I made with chickpea rice, which is a come dine with me recipe I’ve been using for a few years now. Laura this is fantastic, thank you! I bought a stuffed chicken reduced the day before yesterday and don’t have time to eat the darn thing before it goes off (yes, it’s already gone off…. But only by a day. Not too bad by my standards!). Anyway, decided to bone the thing and freeze in portions, but couldn’t for the life of me work out what to do with the stuffing – obviously THAT’S not going to waste! And boom, here you come along. Have all the ingredients ready so am going to make it tonight. I shall let you know how I get on! Oooooh my god – turns out the stuffing was veggie, so mixed it in with the kidney bean, carrot (and half a grated turnip – I’d gotten 3 for 30c in the bargain basket. Really needed to be used!) and ended up with a lot more mix than I’d initially thought. Decided I would make burgers and falafel s instead, as I thought they’d freeze better than the meatloaf. Coated the burgers in oats and fried in a non stick pan. They were absolute perfection, even better than the kidney bean burgers, which I’ve made before. They stuck together better etc and were just a bit meatier. I’d totally advise adding stuffing to the mix from now on. Falafel s were just smaller versions of the burgers, without the oat coating, and have also been frozen in batches for future lunches with pitta. Served the burgers with half a roasted pepper (fried at the same time as the burgers – also in the bargain bin!) and a spoonful of mango chutney. Perhaps one of my fav a girl called jack alterations yet! Jack, these are great. Once cooked and cooled they do firm up. Next time I will make the mix and pop it in the fridge for a few hours then make them. Added some chilli flakes and seasoned ours and the normally fussy OH loved hers and hijacked a spare. Made these with a tin of mixed Mexican beans from Morrisons (50p on special till they run out), delicious. I’ve given up on bunched coriander till I grow my own as, from the supermarket, they just don’t last (no freezer) so used crushed which also worked well. Thanks for this great recipe! This sounds delicious! Saved and ready for the weekend! Looking forward to trying these tonight, I am having them with potato wedges though. I made a tweaked version of this recipe for dinner today and i thought it absolutely delicious. Definitely one I will be doing again. Using my burger press and more carrots (because they needed using up), I got six – brilliant! Just made these with borlotti beans and a few other bits and pieces absolutely delicious being a pig and frying second helpings, adding a bit of cornflour or potato flour helps bind stuff instead of using eggs for binding and its very very cheap and gluten free! This is on my meal plan for next week 🙂 Looking forward to it! My little boy is happily tucking into second helpings of these as I type. I grated in half an apple and half a potato and he seems to approve. Thank you for the recipe! Hi i found this recipe about three weeks ago and i have tried it three times already. Very easy and delicious. My meat eater boyfriend loves them. Keeps telling me i should make them more often. Thanks! I made these today and have to say that they are probably the nicest veggie burgers I’ve had. I added extra cumin, ground coriander, salt and pepper, to suit my taste buds. These are going to become a regular at my table. I really admire you for showing us examples of healthy, tasty food and on a budget. I’m lucky, in that I don’t HAVE to scrimp on my shopping, but I welcome spending a bit less, especially when it doesn’t feel like I’m doing without. Really ought to print out an try a few of these recipes, and broaden my range of what I can do. Delicious, thanks. I added 2 fresh chillies to the mix. They looked suspiciously like meat burgers by the time I’d finished! “These are yummy Mummy.” Need I say more! Discovered your site just last week and this is the first recipe I’ve tried. Added a courgette (free from garden) and an egg (also free from garden) and upped the flour a bit because it was quite gloopy. I then had to cook it all at once as one giant frying pan-size patty because I had a tired, grumpy 11 month old clinging to my leg. It wasn’t pretty by the time I’d finished with it, but sprinkled with a bit of grated cheddar (left over from lunch) and sandwiched in between two slices of bread with some salad it made a delicious, healthy and cheap supper. Baby threw most of his over the floor, probably because he’d rather have yoghurt. i checked your site after I saw an article in last weeks sun. I made these burgers today for me and my 2 yr old who hates vegetables and they were delicious and he ate it all. i’ll gradually be trying out all your recipes. This was one of the nicest meals I’ve cooked for myself for a loong time, made all the more tasty knowing I could afford it! I served the burgers with smashed potatoes and chives (boiled new potatoes, which are “smashed” with a spoon just enough to break the skin, then fried in butter) Thanks so much for posting..
Just wanted to add that they go really well with tzatziki. Inspired by these recipes, I made a budget version, adding chopped parsley and mint to some leftover yoghurt and lemon rind. It’s also a good way of using up the Greek salad cheese that’s been hanging around for a while, which I toasted and put into a salad. Wish I’d had sesame seeds that I could’ve toasted the cheese in, bet it would’ve tasted even better. Oh well.. Mentioned on superscrimpers tonight! Def gives us inspiration for kids food which I’m assuming inspired the no salt approach. I take some out for my son and then add chilli oil or powder to the rest for us! Yum! The chocolate chilli was also enjoyed by my son and he is fussy. I made these last night and have the leftovers for dinner this evening when I’m on a 5 hour coach journey! I had them with roasted tinned potatoes and onion with seasoning on- and a dollop of sweet chilli sauce I had in the cupboard. They are great thank you!! I’ve started doubling your recipes if I need more for four hungry mouths. I think you’ve not mentioned this alot but it always works out fine! Good no fuss recipe, I added some dried shredded beetroot and grated swede to my mix. :} Lovely . Just made these – they were seriously yummy! Cooked two and froze the rest, but could quite easily have eaten them all. And you’ve reminded me to get blogging about food again. I started a similar idea to you. when one supermarket did a ‘feed your family for x’ promotion, I took their recipes and showed how by shopping locally rather than always at supermarkets, you could cut the costs even more. I think one meal they priced up for a fiver, I managed to make for less than half that. For example, spices are MUCH cheaper when you buy them from independent grocers, especially the Asian and Turkish ones. And fresh fruit and veg is also much cheaper in a lot of these places too. Sadly, other projects have left me little time for blogging, but I must get back to it now. Here in ‘rip-off Britain’ we need to know that you can eat very well very cheaply – if you put of effort into it. Well done and keep up the good work. Made these for dinner tonight after seeing a link from The Guardian about you. They were delicious! Thank you! I never, in a million years, thought I would ever try this recipe. I’m strictly meat and two veg. However, I took the plunge today because it looked easy. I will definitely try them again! The only food my 8 year old daughter will eat is lentil & cumin soup, pasta and tomato sauce, kidney bean & cheese burrito, cauliflower cheese and rice, boiled egg yokes, potato cakes and chick pea curry. That’s it. There is no pleasure left in cooking as anything else I prepare is greeted with horror though I am now a dab hand at turning the rejected food into soup which she then cheerfully eats. She refuses bread, meat, fish and many vegetables plus all the usual food that children like: cottage pie, lasagne and so on. However…….she LOVED this. She asked for seconds. She loved the spicy potato soup too. 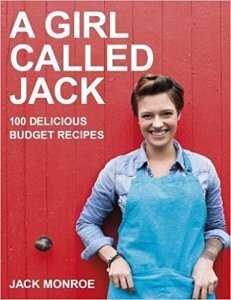 Jack I am going to work my way through your back catalogue of recipes, and am thoroughly looking forward to it. Thank you so much. I found this via your video on the guardian website. I’m going to try these as finger food for me & our 13mo old. Ive read around your blog and think its inspirational as a recipe blog, as well as a financial one. We struggle, but are no where near the levels you have been. This blog has inspired me to cook more, PLAN MORE and spend less (waste less) to improve the food my family eats. Yum! Made these yesterday and were a total hit all round. Thanks so much. You’ve helped my family rethink how we spend money on food and given us some fantastic ideas on how to make delicious and healthy meals on a budget. Well, knocked up half a dozen of these this evening. Stuck a bit more cumin in this evening and was thinking of adding a bit of paprika to give it a bit of a kick but didn’t in the end. At two, froze the rest. I am never gonna buy veggie burgers again! Terrific! I’m really enjoying your recipes and your honesty! Keep up the fantastic work and recipes! I am a teacher and as soon as we are back at school next week, I will be telling all my students about your recipes and blog. As one of the previous posts mentioned, we too are struggling, although by no means to the degree that you have experienced! Your blog and recipes are, as mentioned previously, inspirational and I too am finding myself taking a new delight in making meals from scratch knowing that not only am I saving money but also providing nutritional meals for my family. On another level, I feel more empowered in the face of a society which seems to like to tell us that we need to eat, eg. as Marks and Spencers puts it “A Meal in for Two for £10. What planet are they on? My very picky daughter loved these! Thanks for the recipe! I just tried this and loved it. So simple to make and so tasty too. And I’m loving how it can be done so cheaply. Sharing with friends and hopefully they’ll also appreciate it! its works out alot cheaper if you buy dried beans and soak them, a 2Kg bag of dried kidney beans in my local wholefoods store is £1.50. I had the same thought, but found the amount of cooking the dried beans needed negated the savings, I have an electric cooker 🙁 but as I now have a bag of dried kidney beans to use up, these lovely things will be made more than once. Thank you so much for this, I was worrying about what I was going to have for tea as all I have in the house is 1 carrot, onions and a tin of kidney beans and some pasta. I typed ‘carrot and kidney beans’ into Google hoping for a recipie and I didn’t expect anything so perfect to come up but lo and behold, I’ll be eating well tonight!! I don’t have Cumin but maybe I’ll add Paparika or something, we’ll see how it goes. Thank you so much, Jack, for your wonderful blog which I will be checking regularly in future! Can I use a tin of baked beans instead of kidney beans? Yep just give them a rinse to get rid of the tomato sauce. These are great. Have made them more than once. They freeze well. Hey Jack, Thanks for the recipe, I’ve just made these with cannilini beans and garlic as I had no onion, also added some chopped peanuts…this is the first time I’ve ever made bean burgers and I’m really impressed…thanks so much for the inspiration! These are delicious! Can you make up and freeze? 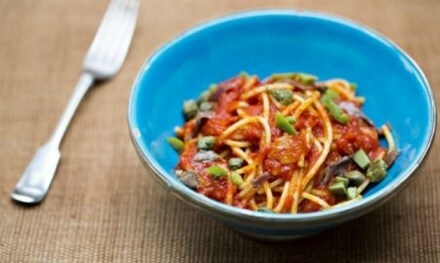 Lovely – a great way to use up left over kidney beans. I stuck my mixture in a wrap! Thanks for sharing your thoughts on pressure cooker risotto. Off now to browse some more of your recipes, thanks. Just made these – they are perfect. Thanks Jack – love what you do. I’d love to give these a try, but I’m gluten intolerant, so obviously would be using gluten free flour which sometimes behaves a litttle differently in that it can absorb more or less water, and I’m worried about them falling apart- does anyone have any ideas as to how to stick them together? I was also thinking about making these into “meatballs” and cooking them into a tomato sauce made from an onion, garlic clove, tin of chopped tomatoes, cayenne pepper, dried herbs and maybe a diced pepper- my cooking experience is relatively limited, so I don’t suppose anyone would know whether something like that would work? And should I cook the burger-balls before, or just put them into the sauce raw? Coming a bit late maybe, but I just made a version of these with cornflour, and it worked fine for absorbing the excess moisture. I know your comment was a long while back, but I used Besan (chickpea, “gram” flour) instead of normal flour. they work really well. What a fantastic recipe. I loved it and my confirmed meat loving husband said he’d eat them any time I wanted to cook more!! I used dried beans and cooked them in a slow cooker for the day while I was at work, I’m going to make a batch and put in the freezer. If you have a friendly landlord ask if they could order you some herbs and spices and stock food like beans, they are cheaper still if you buy in bulk. Fantastic recipe. We went thru a panicky spell many years ago (very short-lived but who knew that at the time) and I recall pricing out every ingredient to stretch out meals. Made a similar recipe… Try swapping out (or adding) rice to the burger. Rice is cheap and just a little can be filling. If you sauté the rice in a bit of oil or butter first to brown it, then boil (2 parts water to one part rice), then add a bit to the kidney bean burgers it’s delicious. Also, onion powder can go longer than fresh onions, and in some recipes can add to the taste. Best of luck to you and your son Jack. And the awesome, awesome thing about this recipe? It can be made gluten-free!! Thanks! Fantastic recipe, and worked for us five with gluten free flour. Carnivorous 2-year-old daughter may need a bit more convincing, but I’m sure she’ll come round after a few more tries. Bloody scrumptious! Maybe I’m too accustomed to salt, but would the burgers not need a little bouillon? Hi Jack, I saw you cooking these at Bristol Food Connections, and cooked them the next day. I made a wheat free version using cornflour instead of flour and they were really good. Finally made these tonight and they were easy, delicious, cheap and even made my meat loving boy very happy. Thanks Jack! Picked up this recipe card at our FoodBank and tried it out last night. Have to say I was plesantly suprised!! Cheap and easy and quite tasty. Heated up the left over burgers today and popped into a wrap with cheese and burger relish, delicious!! Thank you!! Made these last night (minus the fresh coriander as I had none)…delicious. Even the fussy eater in our household devoured & said it was good…so WIN all round I say! Any tips on how you can make these less runny without adding heaps of flour? Does it depend on the beans? My other half is a long distance runner and is happy for me to make this, considering the protien content! I could not look at a kidney bean before hand, these taste really good and don’t upset my stomach like usually kidney beans do. Thanks for posting it! Make them in advance and chill the mix in the fridge to firm it up – I find it depends on what brand of kidney beans I use, but chilling in the fridge works to bind the mix together. This recipe looked so yummy I thought I would pass it on to my readers! How would you go about cooking theses after they’ve been frozen? Defrost them and then fry like normal? Nothing say healthy than a carrot, cumin and kidney bean burger. I could only hope I can fool my palate into believing the patty isn’t made of meat. I made these for my daughter and myself and they’re great, served with spinach with some parmesan and home made fruit chutney….they were yummy and she loved them too and had seconds. Thanks for the recipe. These look fantastic and I will definitely make them – and would do evne if they weren’t quite such a budget item but because they look delicious. This was the first of your recipes I ever tried, when i first discovered your blog which i was, and continue to be, deeply inspired by. You rock, as do these burgers. Thanks Jack! Made these last week, the only deviation to the recipe being a pinch of salt. They were delicious! Served to my friend the next day and she adored them, and she can be picky at times! Gave her the recipe as she said she was going to make them herself. I tend to cook them from frozen as I’m lazy- I find the best way to do them is to start off on a quick, very high heat and then turn it down low for the rest of it. 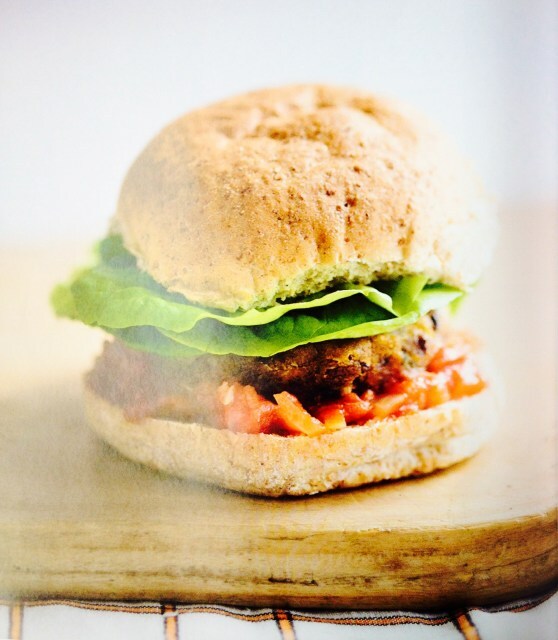 The quick, high heat creates a cooked ‘seal’ on the outside which stops the burgers falling apart as the lower heat defrosts the burgers all the way through. I love them in wraps with salad and sweet chilli sauce. SO YUMMY and so easy to make. Plus they freeze really well. I am going to make these tonight with my 8 year old daughter. Can’t wait to try them. Thanks Jack. I made these tonight… As I hate grating stuff, I whizzed up the carrots, onions and kidney beans in my mini chopper with garlic, cumin seeds, coriander, salt, pepper and a dash of tomato purée, then combined with a beaten up egg to bind together. I didn’t use oil as I prefer to keep things as low calorie as possible…so instead used a couple of sprays of fry light. However I think next time I may try baking them in the oven instead? They turned out great! Seems crazy that people spend a lot more money on shop bought bean burgers, yet I made four big burgers for around 50p in total in about 5 mins using the chopper, with no oil or nasties added. Season as you wish for added flavour…garlic, salt and pepper and tomato purée worked great for me! As a lazy but healthy cooking fanatic… I’ve made these a second time around. No frying up ingredients…but whizzing up raw unpeeled carrot, an onion and a tin of drained kidney beans, a couple of dried chillies, teaspoon of cumin seeds, ground pepper and fresh coriander with an egg and a teaspoon of flour….all in the food processor. It was whizzed up and combined within seconds with no effort required. I refridgerated the ‘mulch’ for an hour, then formed burger shapes in a pan with Fry Light. So long as the burgers are allowed time to let the carrots, egg, kidney beans etc to cook through before turning (on a low heat), then they will keep their shape. Obviously the egg that I added does help. But the key is to not turn them until they are cooked through. Especially as I didn’t pre-cook any ingredients and whizzed them all up in the food processor at once. These have become a staple in our house – my husband has gone from a slightly suspicious ‘what’s that?’ to a (slightly pleading if I’m honest) ‘can we have them at least once a week – please?’!! I find cooking them in the oven works better for me, rather than frying them in a pan. I spray a baking sheet with a little bit of oil, bake them in a hot oven for a few minutes and then flip them over to do the other side. I just find they firm up a bit more cooked this way and don’t break up quite so easily. I also bake the rolls in the oven at the same time, rather than toasting them. Plus it makes things a bit lighter on the oil front, and they have a nice crispy-type outer which is rather nice. Made these for my lunch. I honestly didn’t think that I’d like them much, but at least they’d be healthy and cheap. I was wrong – they are really tasty(and I didn’t even add the coriander as I didn’t want to go out in the cold to get it from the garden). I won’t be buying veggie burgers from the supermarket again! I did use only a third of the oil – teaspoons instead of tablespoons as I’m on a diet, with my non stick pans it was perfect, but if you have ‘stick’ pans maybe you do need the extra. Thank you Jack. I’ll definitely be trying more of your recipes now – with a more optimistic attitude. WOW, these were good. I added chilli powder and a bit more cumin and served them with cous cous and tomato and chilli sauce. Other half, who is very fussy, loved them. These will go on the weekly meal plan along with the mushroom Bolognese…thank you Jack. I used to think Asda was a good place to shop if you are short of pennies, but now I’m going elsewhere. Excluding baked beans, all of Asda’s tinned beans have been rebranded as “Good For You” healthy brand, and they are charging ~50p minimum a tin. No sign of value-range beans in either of the two stores I checked. I can only conclude they have twigged that people are buying these cheaper food staples, and have responded by rocketing the price. Of Beans!! Pretty disgusting if you ask me. Oh and P.S: LOVE the recipe, thanks!!! You bloody hero you. These are a must try! so tasty and easy to make. I’ve just made this recipe (with a few changes, because I’ve had an ounce of mock-up chimichurri left, and a few mushrooms considering to spring out of my fridge, so I threw them in). I’ve made a batch enough for 6 people with pitas, sauces and vegetables, and it only cost me about £3. I’ve also made a tasty soup from some of the carrots, and since I’ve bought the full bag, it didn’t cost any extra. You are awesome, and a life-saver:) even my youngest sister, who is a very fussy eater, devoured her platter under 2 mins:) I’ll try all of your recipes, it’ll really help with our budget. I love bean burgers and make black bean burgers, however will try this recipe next time. I find it hard to get black beans in the local supermarket and have to buy from the local farm shop instead which can be more costly than buying kidney beans! I wanted some comfort food on a low carb, low calorie diet – these are perfect! I added some roast red pepper I had going spare and seasoned with Cajun spice. Really hits the spot, thanks Jack! These are delicious and very filling. I couldn’t eat them all, so got plenty left for tea and I may freeze some. I served mine with home made sweet potato chips. I have some of them left over. May well add some chutney at tea time. Thank you for your delicious recipe. I shall be making them again very soon. I tried these out but it was not to my cup of tea, however my daughter loved them so it will be something to make and freeze for my girls in the future. Very easy to do and great price. Made them last week. Best vegi burgers I have tasted EVER. Definitely a regular in my house from now on. Made the recipe on the weekend, made 6 smaller patties and baked them with a little oil. I had 2 in my luchbox today which I had with mango chutnew as suggested, with fresh tonato slices in wholewheat pita. Delish.I will make again in larger batch and freeze. This might seem a strange question, but do you have to soften the veg before combining the whole mixture into a burger shape? Eg if I didn’t want to put the hob on but wanted to prepare and freeze the burgers could I just make them in a mixing bowl, freeze then cook as needed? Thanks. My 3 veg-phobic teenage sons and husband absolutely love these burgers! So easy and quick to make after work with ‘starving’ boys prowling the kitchen! I must admit that I do add a sneaky chilli because I love spice, and as we grew plants on windowsills from the seeds of shop bought chillies, it’s a great way to use them! I love a “deconstructed” carrot & kidney bean burger recipe, which I eat almost every week. But I do not bother with making it a burger, I just fry the lot and serve it straight away with a sauce of yogurt and mango chutney!! Heavenly ? Just a note do you know that the coriander you get in massive bags in Asian supermarkets can be grown by popping in some compost and grow somewhere warm once germinated and growing strong can be moved outside. The hit rate is probably not as high as commercial seed but a whole lot cheaper I put a huge handful into the compost and about a third germinate!